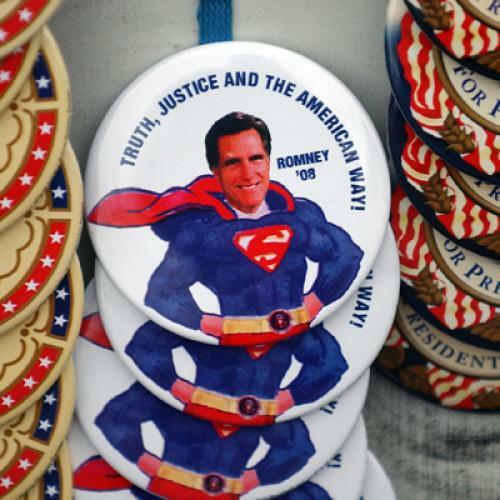 Did Mitt Flip Away From A Winning Issue? It's one thing to be branded a flip-flopper for switching positions to avoid ending up on the losing side of an issue, as Mitt Romney was earlier this week after he declined to take a position on a ballot referendum to repeal Ohio's new law restricting public employee unions, even as he was appearing at a phone bank making calls against repeal. But it's another matter entirely to flip away from an issue that...ends up winning! Greg Sargent got his hands on an internal memo from one of the groups pushing for repeal in Ohio that warned that recent polls showing a wide margin of support were seriously flawed. Now, the group could well have leaked the memo to keep expectations in check going into the vote 12 days from now. But the memo's caution lines up very much with what I was hearing this week from sources in Ohio, both inside and outside of organized labor, who said the situation remained very much in flux. First of all, they told me, there is just too much of a discrepancy between the clearly worded language in the polling queries and the confusing, prolix language of the referendum question, Issue Two. Second of all, there is still the chance of a major media carpet-bombing by anti-repeal outside groups that so far have not made themselves heard as much as many expected. Third, an off-year referendum is by its nature a highly unpredictable event, even in times less tumultuous than these. "You never know what they’re going to come out with," Mike Gillis with the Ohio AFL-CIO told me. Twelve days out "is not much time left to make a huge move, but never trust the devil inside the door."